The billboard culture in Karachi was more about muscle flexing than a focused marketing strategy. Every brand was after the most premium location and the biggest billboard. Karachi’s carbon footprint is already on a high and the city’s greenery has rapidly vanished over the years. What little amount of trees and plants our city had were being cut down, God forbids if a tree reduced visibility of a brand’s mighty billboard. Out of nowhere, Sindh government decided to do something about the city’s visual pollution problem. In 2016 the Supreme Court successfully and uniformly banned advertising billboards and signboards on public property. Compliance was assured by Karachi Metropolitan Corporation (KMC), the Defense Housing Authority (DHA) and all the rest of cantonment boards. As one of the primary marketing outlet of brands was shutdown they started to understand the importance of online marketing. All of a sudden there was an influx of digital marketing jobs in the market. A silent revolution came in our city which went completely undocumented. Let’s shed some light on how brands, both big and small, pivoted strongly towards the digital world after the collapse of billboards in Karachi. We all remember huge Cadbury billboards all over the city. The billboards became memorable because they had additional Props & 3D shapes. It was without a doubt that Cadbury was making huge billboard investments. Following the outstanding and abrupt ban their marketing team snapped back very smoothly. 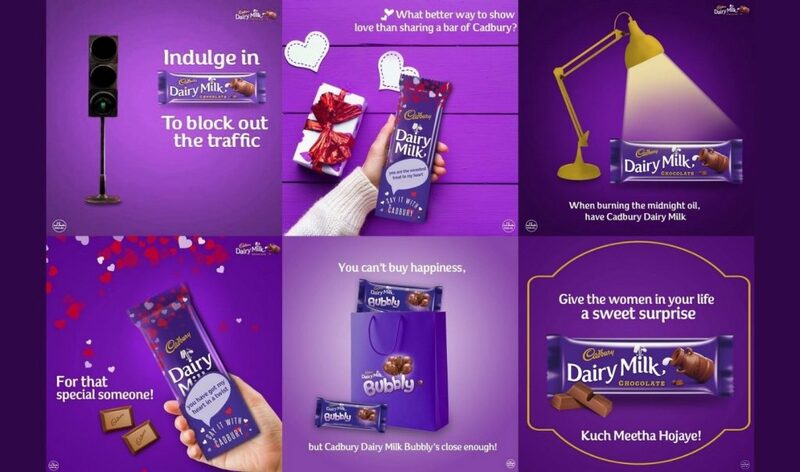 Within weeks an avalanche of online Cadbury campaigns were seen on social media platforms such as Facebook, Instagram, Twitter and YouTube. The central theme of their digital campaigns revolved around a well-targeted but simple concept, which was love and relationship. The logical assumption would be that Cadbury faced downfall in profits following the ban. But on the contrary, the company is making record profits after going digital. Last year there was a defining moment in the lawn industry. 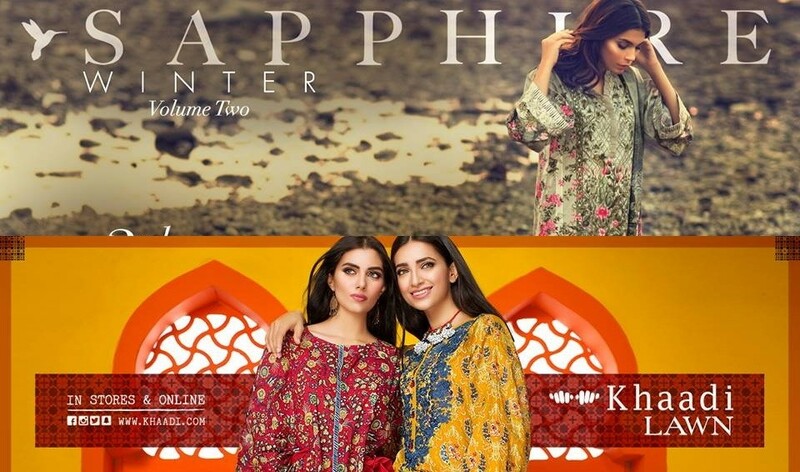 The two uncrowned kings, Khaadi and Sapphire, had an online showdown of discounts. Why am I mentioning it here? Because before the ban these giants locked horns on the streets of Karachi through billboards. The digital battle started when Sapphire announced their promotion of 50% flat discount back in 2016, just after the ban. Following this, Khaadi responded in a similar fashion. Both of them were welcomed with heavy online traffic, servers crashed and supply ran out. Both giants were able to make record sales, today they are expanding and diversifying at an exponential rate. Instead of making a negative impact, the ban on billboard plunged these brands in an untapped digital world. I apologize for not including the infamous Amir Liaquat’s picture in the collage because I wasn’t able to find a decent image (Pun intended). But let’s think about this for a second, how many of us remember those gigantic Ramzan Transmission Billboards all over Karachi? The holy month is just around the corner and if it wasn’t for the ban we would be still be seeing them. I’m highlighting these ‘Amazing’ transmissions because they are a platform and gateway for Ramzan campaigns of brands. 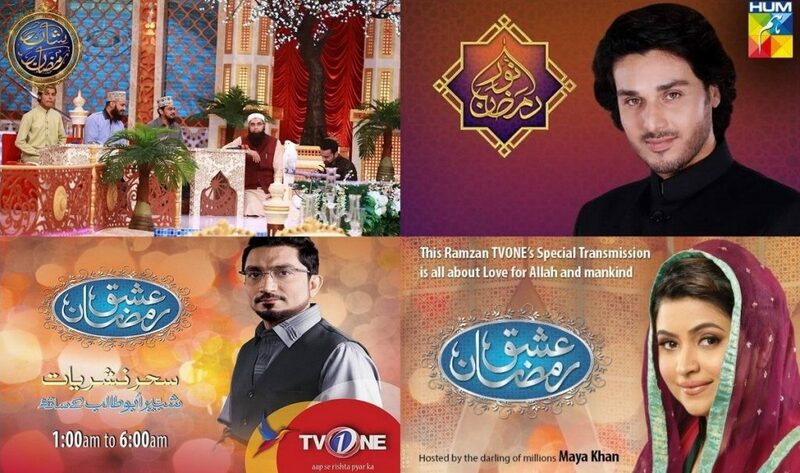 The entire nation will tune in and watch these shows, but how are the channels promoting their Ramzan transmissions this time around? You guessed it right, a truckload of online campaigns will hit the internet this year. We’ll be seeing a huge amount of paid campaigns on Social media platforms and Google. Before TV channels used to rely on billboards & television commercials for promoting their own transmissions, but the ban on billboards has offered them a chance to launch more focused and well-targeted online paid campaigns. What looked like an abrupt executive order, came as a blessing for everyone. The city is more scenic now and the brands took a sigh of relief as well. They had to take a hard turn towards online marketing but they are getting better quantitative results on their campaigns. Unlike the flexibility of digital campaigns, a billboard can’t be moved or changed easily. The consumers are also getting better promotional deals and discounts because now both, the small & large businesses, can reach out to customers due to fair online-marketing regulations. The brands are earning more and the customers are getting better rates. I conclude that this is the best thing that’s happened to Karachi, Pakistan’s premier industrial and financial center. A Blogger, Public Speaker, Traveler, Foodie, and a Debater, Kamil is an avid propagator of earned media who scours the Internet to scrutinize fresh digital trends & laugh at dank memes. A firm believer of listening before critiquing, Kamil believes in publishing research-driven and fact-based blogs. A soft conservative with borderline liberal tendencies, he resolutely defies dealing in absolutes. 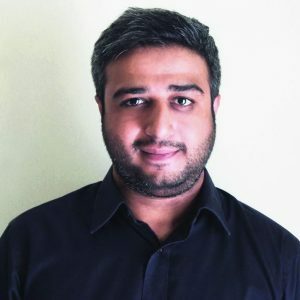 Methodologically converting site-visitors into customers by providing them in-depth case studies of digital trends, Kamil is an inspired Crea8ive Bench blogger.